Once your little one has taken their first steps and is confident in putting one foot in front of the other, they will be ready to move into our Walker range of shoes. 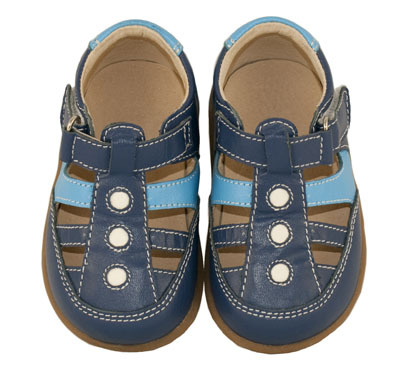 The natural progression from our trademark soft soled infant footwear, Walkers are made from premium non-toxic leather with a light-weight flexible rubber sole. 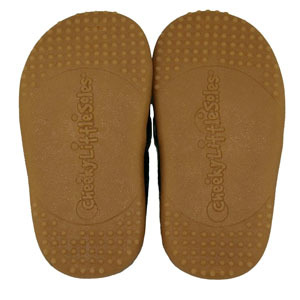 The Cheeky Little Soles Walker range offers comfort, support and excellent grip for little feet on the go. 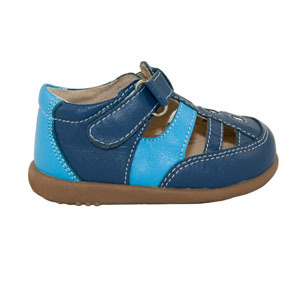 Our Henry design is a deep blue with electric blue and white detailing leather toddler sandal. * super soft premium non-toxic leather safe for 'toe-suckers'!